Sandra Rozo is an assistant professor in the USC Marshall School of Business. Her interests include development economics, public finance and applied microeconomics. Her current research focuses on better understanding the consequences of illegal behavior on economic development and how firms adjust to economic shocks and conditions. She also has ongoing research on the effects of forced displacement and illegal activities on health outcomes. Rozo is also a research fellow of the USC Office of the Provost. 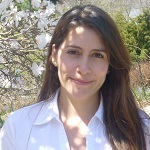 Before receiving her PhD, she worked at the Inter-American Development Bank evaluating and designing development projects implemented in Latin America. Her research has been covered by the Huffington Post, National Public Radio, Economonitor, Drug Policy Alliance, El Tiempo (Colombia) and El Espectador (Colombia).